At first, the brief opening theme to ABC’s The Muppets appears to be exactly the same as when we last checked in on Jim Henson’s creations: Kermit walks to craft services for some coffee, only to see his coworkers swarm the table and pick over the refreshments in hyper-speed until there’s nothing left. Right as he’s about to bow his head and sigh “Time to get things started” with resigned exhaustion as he’s done before, a voice echoes from off-frame. 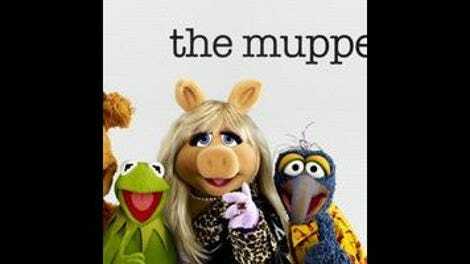 “Oh Kermie!” squeals Miss Piggy before rushing on-screen with a cup of Joe for her ex. Kermit smiles, pleasantly surprised at the gesture, then looks into the camera. “It’s time to get things started,” he says with enthusiasm. It may seem like an insignificant alteration, only it’s not. Not in the slightest. The frog’s change in demeanor indicates that, unlike the first half of the season, he’s happy to come to work. Even more importantly, it points to him and Piggy getting back together, or at least repairing their creative partnership to a point where the Up Late studio isn’t such a hostile place to work. While there were glimmers of such cooperation in the first 10 episodes, especially in the back end, co-creator Bill Prady and new showrunner Kristin Newman are making good on their promise to “bring more joy” to the series than it’s had in the past. In keeping with their perpetually meta spirit, the Muppets themselves all have a refreshed outlook as well, having each taken a bit of a vacation during the hiatus. Piggy’s in a zen-like state after a trip to Argentina (zen-like for Piggy, anyway), Pepe and Rizzo had a wild time in Amsterdam, and Kermit holed up with Denise to work on their relationship. None of this makes the eleventh episode a true reboot, mind you. There are still the talking heads, there are still flashes of adult humor, there are still celebrity guest stars. Recalibration, not reboot, would be a more accurate term. But a recalibration comes with its own set of changes, and because we discover in the first five minutes that, thanks to the extended break, the recharged Muppets are trying to have fun, are trying to enjoy their jobs, are trying to get along with one another, it certainly feels like the gang has a brand-new outlook, even though they don’t have a brand-new story. That positivity gets put to the test when network president Lucy Royce (June Diane Raphael) pops by the office with a branding guru named Pache (Utkash Ambudkar), who spells his name as “Pizza” because, as he tells Scooter, “build your brand on an already established brand.” As Scooter points out, pizza isn’t actually a brand. The introduction of Pache is a smart move on Newman’s part. 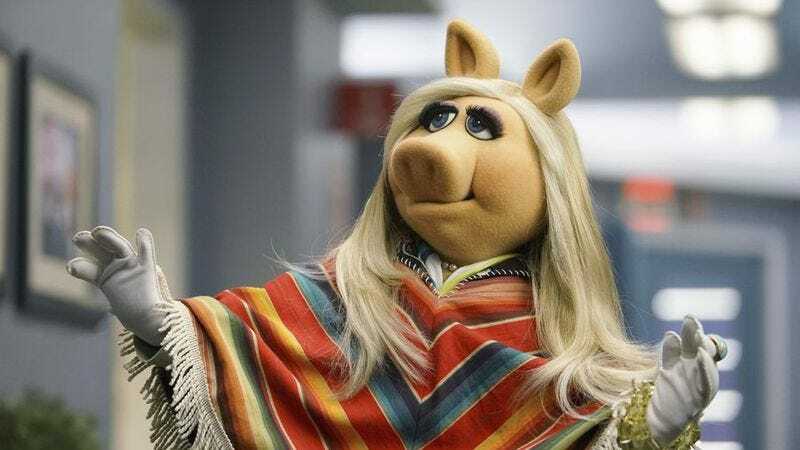 As she said in the Hollywood Reporter interview, it gives the Muppets something to unite against, and that’s exactly what they do when they discover that Pache’s obnoxious, zeitgeisty changes Pache made to Key & Peele are what got the show canceled. Instead of bickering, Kermit and co. retreat to the writer’s room to dream up some new ideas, coming up short until they launch into a Chili’s Baby Back Ribs version of the Muppet Show theme after Fozzie starts clicking his pen. They realize that they don’t need any fancy bells or whistles to retool their series and make it great. As Kermit puts it, “we just need to make a few tweaks to our show that make us happy.” In simpler terms, the Muppets need to recapture what made people love them in the first place, which is something viewers have been saying since the pilot episode premiered last year. But while the Muppets’ (and Prady and Newman’s) hearts are in the right place, the changes to Up Late—Newman’s said the bit-driven format is inspired by modern late-night TV—aren’t much better than anything we’ve seen on the talk show before. Pepe posing as an Uber driver in a hidden-camera skit has potential, and yet there’s never enough mayhem among his passengers for there to be any comedic surprises. The same goes for Bobo reciting dramatic readings of trashy reality shows. Sure, we’re being told that these sketches are funny because of the guffaws from the studio audience and the pleased reaction from everyone behind the scenes, but are they actually funny? Are they that reminiscent of the old Muppet Show, only with a contemporary twist? Unfortunately not. Then, after Pache sabotages Key & Peel’s guest slot and the show needs a last-minute replacement, the magic comes back. For the first time on The Muppets, Kermit and Piggy willingly take the stage together to perform “In Spite Of Ourselves,” a country duet originally sung by John Prine and Iris Dement. Since the song was released in 1999, it was never on The Muppet Show, but it feels like it could have been. It’s simple, folksy, a little funny, a little sentimental, too. Best of all, it features Kermit playing the banjo. In some ways, you can’t help but feel a little bad for Denise, since the show never took the time to develop her in any real kind of way. Then again, how was she ever going to compete with Miss Piggy, a character who’s had almost 40 years to win over her audience? The inevitable breakup points to the writers listening to longtime fans of the franchise, as do several other small changes, from more screen-time for Uncle Deadly (yes, please) and less for the human celebrities. And when they are on-camera, their performances are suitably downplayed. Ambudkar, for instance, who could have portrayed Pache as a grating mustache twiddler, keeps his demeanor scaled back, knowing that he’s meant to be a supporting role to the already established stars, not a scene-stealing center of attention. All of this is reason for cautious optimism. Granted, Prady and Newman need to make sure the onstage action is as compelling as the backstage hijinks and relationships—after all, that was one of the keys to The Muppet Show’s success—but their changes prove that they’re at least aware of the growing pains on The Muppets, and are doing their best to fix them. While it may not be a full-on reboot, does it really need to be? Sometimes, you just need to recalibrate. Sometimes, you just need a few tweaks to make your audience happy. I hope we haven’t seen the last of Uncle Deadly’s martini-drinking adventures with Piggy’s penguin, Gloria Estefan. I won’t be sad to see Denise go, but I do hope Sam the Eagle’s attraction to Janice carries over from the first half of the season. Another reason for excitement: according to Newman, we’ll soon be seeing the return of Camilla.